WIN! 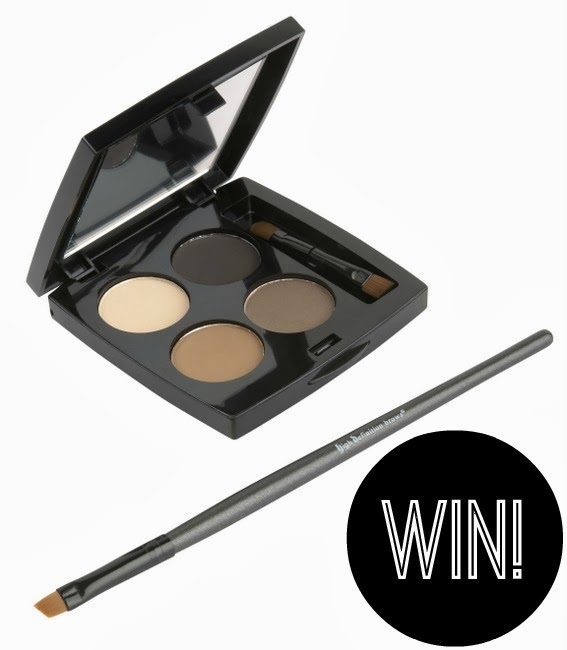 Three HD Brows Styling Kits to Give Away - Open Worldwide! Our collective obsession with our eyebrows continues unabated - and that's in no small part fuelled by the delectable Cara Delevigne. With today's giveaway you too can have gorgeously full and arched brows as, thanks to The Beauty School in Northern Ireland, three lovely readers will each get their paws on a fabulous HD Brows Styling Kit! I loved my HD Brows salon experience but this kit will allow you to groom and fill in your brows yourself, at home or on the go. Just enter your details below to be in with a chance to win. HD Brows are a great addition to any salon or mobile business. The Beauty School is offering training days for those interested in expressing themselves in high definition - check out www.thebeautyschool.co.uk for more details. These palettes are the shizz. I not only use them on the brows, the Vamp one is the best for a gorgeous neutral or smokey eye. I love this palette, my sister got one in a glossybox once and it was amazing! Thanks for the lovely giveaway,crossing fingers! could use this to tame my brows! Would love a christmas treat please! Would love one of these, I'm obsessed with making my eyebrows look fuller cause nothing will make them grow in any thicker. wow - that looks amazing! ooh never knew this existed! I'm obsessed with brows lately, so I'd love to win this palette! Great prize, I'm obsessed with my eyebrows! Oh my - my brows could really do with this - it looks amazing. Would love to try and win this for my mum! would love to get my eyebrows up to scratch: at least then one part of me will be!! oh I could so do with this, my brows are so pale and thin, would love to spruce em up! I still haven't tried anything by HD brows, I've been a loyal fan of The Makeup Store eyebrow trio but keen to try some others so would love to win!! Gorgeous giveaway. Would love to win. Ah would love to win this! Lovely giveaway! Thanks for the opportunity! Heard nothing but great things about this! This is a great giveaway. I would love to try this! This looks lovely, would beat my one single pencil I use on the brows!! thank you again :) entered here as well! Would seriously love to win this!!! I wish you a Merry Xmas and a Happy New Year! This is great - it would do wonders for my sparse brows! Merry xmas everyone! Perfect timing for this giveaway - my eyebrow liner stick was just finished! Great giveaway! Lovely giveaway,thank you for the chance to win it.I always use similar colors,they are the best for me.Happy holidays!!!! Would love to win .. My hair has started thinning pout recently especially my eyebrows so would love this! I'd love to try this, see everyone and their mother using it! I would love to try this!! Happy Holidays everyone. With blonde brows, this would be fantastic! My brows so could use this! Great prize! I could really use this!